Has the contentious memorandum of procedure for appointment of judges to the Supreme Court and High Court which has resulted in a stand-off between the higher judiciary and Modi government been finalized? 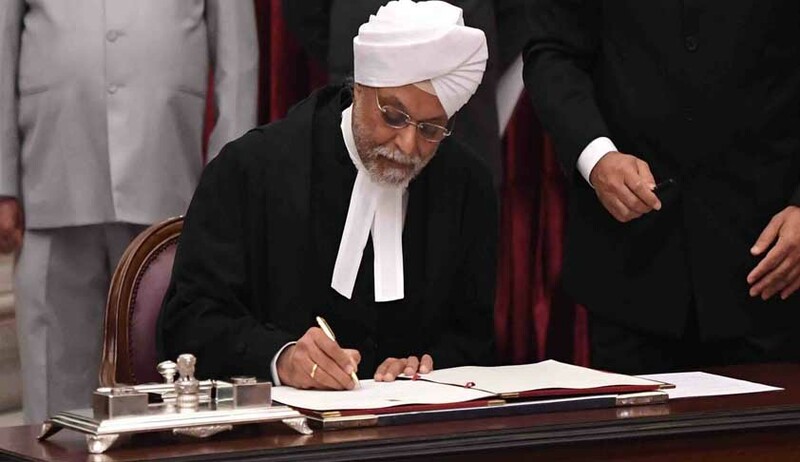 This question arose as Chief Justice J S Khehar has made it clear that he would not consider any more representation on the Memorandum of Procedure (MoP) which governs the process of selecting and appointing judges in the higher judiciary. "Thousands of people have given their suggestions and representations and more keeps coming. For now, we are not going to look at them," Chief Justice J S Khehar heading a bench which also comprises of D Y Chandrachud and Sanjay Kishan Kaul said. The observations came when Ashwini Kumar Updhyay, lawyer and Delhi BJP spokesperson, mentioned before the bench that he has made a representation to the CJI and others on the MoP and judicial reforms which should be considered. "It is being said that the MoP is being finalised. Kindly consider the representation," the lawyer said. "Not now. If the need arises, we will look into in future," the bench said. There had been a tussle between the Centre and higher judiciary over revising the MoP for judicial appointments. Though various issues have been settled, one of the key unresolved points was that the Centre wanted to have the right to reject a candidate on grounds of "national security". Upadhyay, in his representation, has given suggestions including the establishing of the Indian Judicial Service on the lines of UPSC. According to sources, the Supreme Court collegium has cleared a set of procedures for appointing and transferring judges after including a provision proposed by the Centre but opposed by the previous Chief Justice of India. The collegium has rejected another contentious suggestion by the Centre. Indications are that the modified memorandum of procedure will go a long way in bringing the curtain down on a 17-month stand-off between the higher judiciary and the Narendra Modi government. Under the memorandum cleared, the Centre can ask the collegium to reconsider a nominee short-listed for a judge's position on the ground of "national security", although the collegium can reaffirm and clear the name if it so chooses. The collegium has, however, rejected the NDA government's plea for an independent secretariat to screen the nominated judges. The collegium believes that the existing mechanism - under which the personal staff of the five judges constituting the collegium deal with the issue - is good enough.